First things first, Last week's winner of TALK LIKE A PIRATE day contest is: Yvonne!! Congratulations Yvonne and well done! Only two people got them all right. Two people got zero right ! I was surprised more people didn't attempt the test. Perhaps I made it too hard? Anyway here be the answers, ye scalawags! 1. Fuddler - "Hold on there! There be no call to put the fuddler's name on your newfound shipmate." B. A big ugly booze-soaked rummy! 2. Dastard - "Must I consort with roguish dastards, hobnob with knaves, make fellowship wi' villainy and common cause with debauched rascaldom?" 3. Bumboat - "Pieces of Eight, Pieces of Eight, who hailed you, you old bumboat!" And now for the hardest one, ye've got to translate the entire sentence into English. Which one is correct? 4. 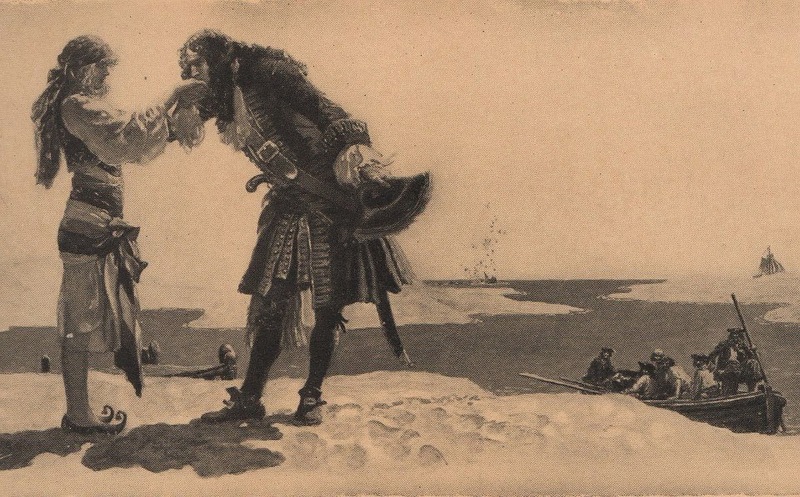 Ye got yer captain scuppered now, ye chunks of rotted seahorse. Yer last task went by the boards, so either fish or cut bait or I'll make ye swallow the anchor! B. Your captain had too much to drink, thanks to you miscreants. You tossed your fishing net overboard so either jump in and get it or I'll tie you to the anchor! C. Your captain is at a loss, you slimy scumbags. You missed your last opportunity so either get on with it or I'll force you to give up your life at sea. 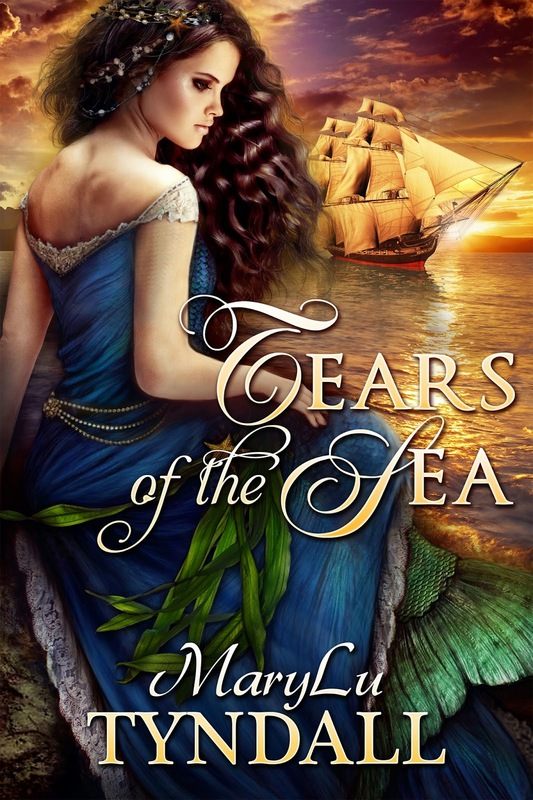 Tears of the Sea (my mermaid story) is available PRE-ORDER on Amazon!! And I hope to have it up on Barnes and Noble soon. So, hurry and get it at it's introductory price of only $3.99 ! 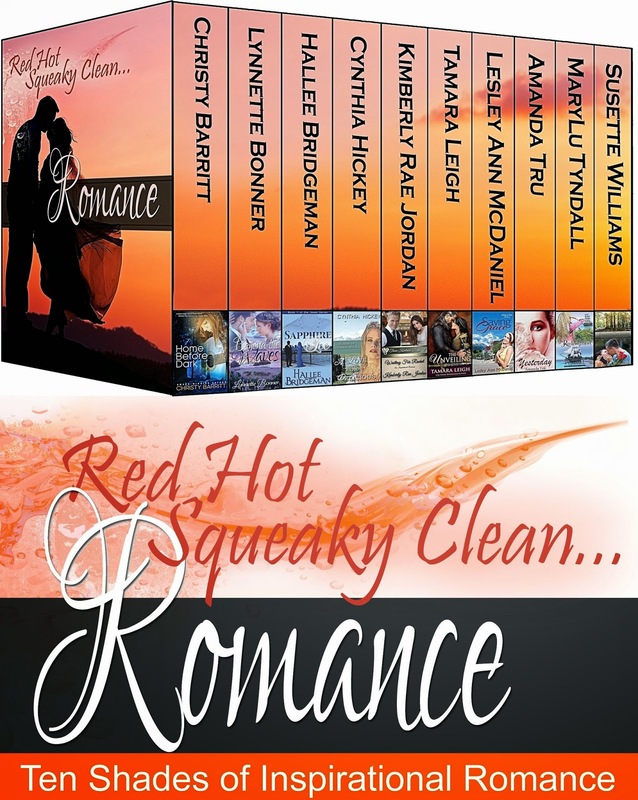 In other news, I'm also a part of a 10 book Boxed set of Inspirational Romances called Red Hot Squeaky Clean Romance! Cool name, huh? This set includes both historical and contemporary romances with a time travel thrown in. My contribution was my very first book, The Redemption. Regardless of whether you've read that one or not, this set is being sold for only 99 cents for a limited time. It will go up to 9.99 after that. So, you can get 10 novels for only 99 cents!!!!! It's a fabulous deal! You can preorder now here at Amazon, Barnes and Noble, Kobo. I'm starting a new thing on Fridays called Writing Tips. It will just be a sentence or two about things I've learned about writing. So if you are a writer or know writers out there, tell them to drop by. Friday Writing Tip: When you're writing a scene from a character's point of view, remember to not only see what they see and hear what they hear, but feel what they feel, smell what they smell, and taste what they taste (If appropriate). You don't have to put all the senses in each scene but if you want your reader to feel like he or she is in your character's shoes, injecting some of these other senses will really help. Can't wait to read Tears of the Sea! Oops, didn't mean to write my name twice. Great idea about the writing tips, MaryLu.....sharing. Happy Friday to you, MaryLu!! So surprised I got 3 out of 4 correct in the "Talk Like a Pirate Day" contest!! You've certainly been exceptionally busy writing/rewriting for some time now - just want to let you know how much I appreciate your hard work, exceptional writing (part of the very best in Christian Fiction), and your heart to inspire others for the Lord!! As long as the Lord gives me breath, health, and mind to do so - I'll be here to encourage, promote, buy and read, all that you write!! I've pre-ordered "Tears of the Sea" and "Red Hot Squeaky Romance", and shared posts on each - as well as this post!! I'm also in the process of checking my church and local public library for your books and will complete order forms requesting any books needed for the public library, as well as donate copies for my church library. Going to put a post on the Fan Club blog to remind others to do the same, as well as purchase books for gifts (I have done this also). P.S. Love your writing tips!! I have been encouraged by several Christian fiction authors to start writing - while I have questions re: becoming a writer at my age and subsequent diminishing memory, patience, comprehension, retention, etc.- I will avail myself of opportunities to learn, am open to God's leading, am praying about it, and know if He wills it - it will happen and He will equip me! !